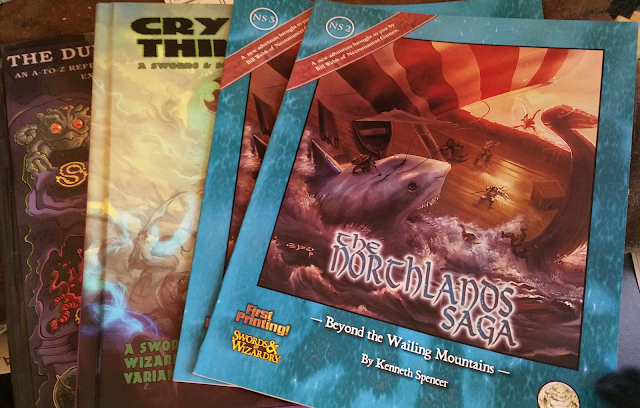 So, who gets the Crypts & Things (1st Edition), along with the Northlands Saga N2 and N3, in Print, for Swords & Wizardry as well as The Dungeon Alphabet? Holy moly! I never win anything! :) I am in the states (MN) so I'll shoot you the info here momentarily. Thanks!